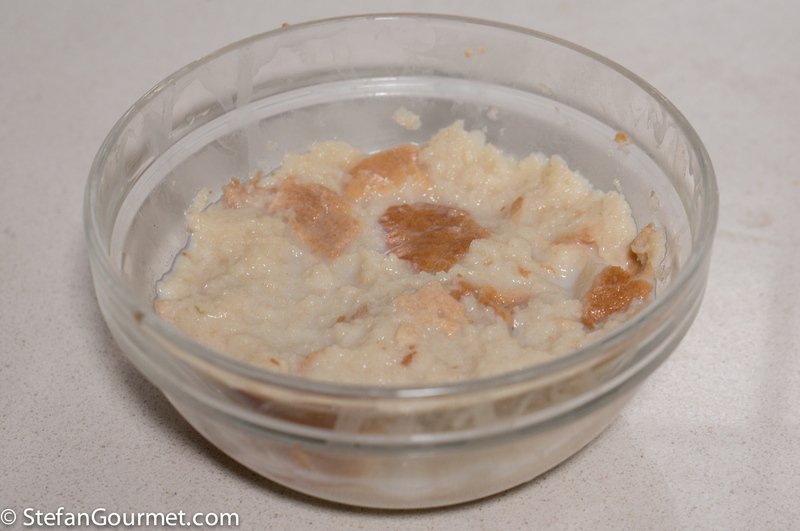 A charlotte is usually a dessert, where a mold is lined with bread, cake, or biscuits, and then filled with custard or fruit. 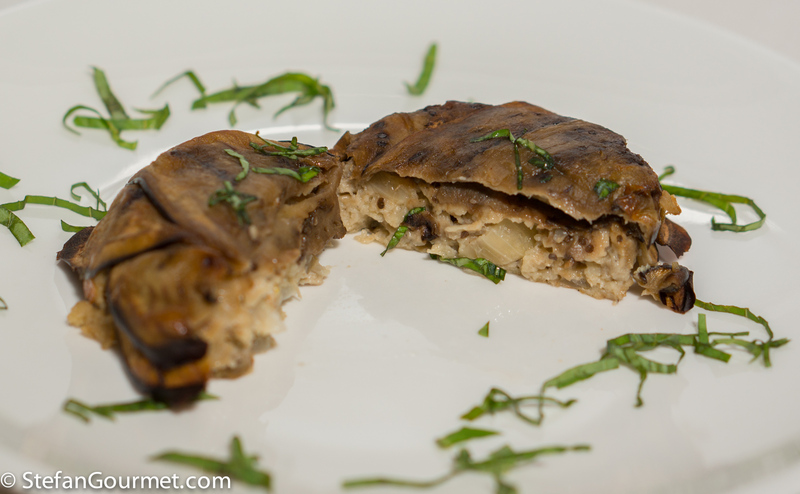 In this savory version, inspired by an appetizer I had at restaurant l’Ardoise in Bastia (Corsica), it is lined with slices of eggplant and filled with eggplant as well. 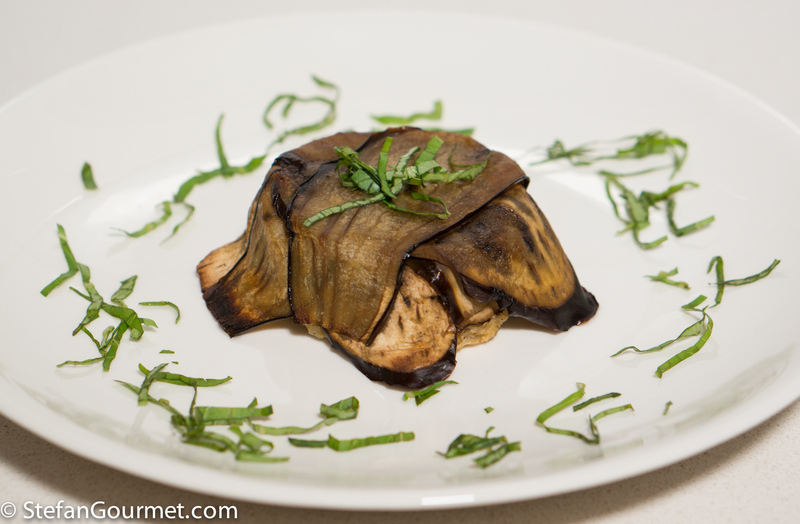 This is an elegant vegetarian dish that you can serve as an appetizer but also as a lunch or vegetarian main course. 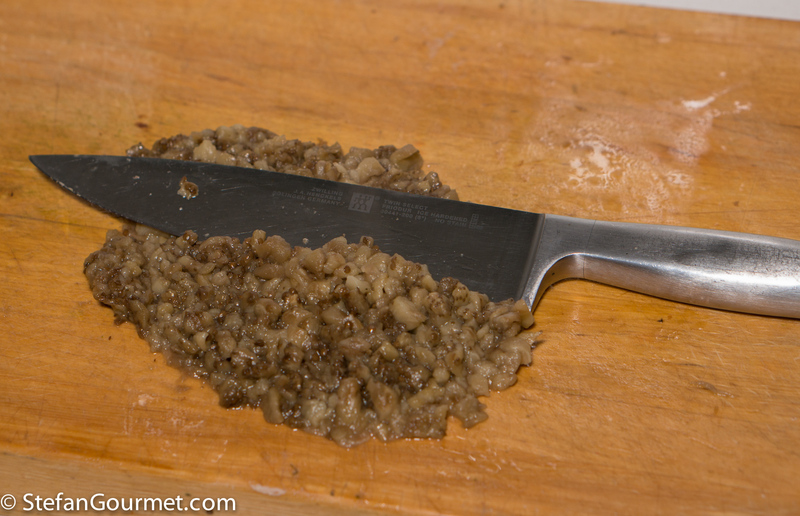 It can be prepared in advance, so it is perfect for dinner parties as well. 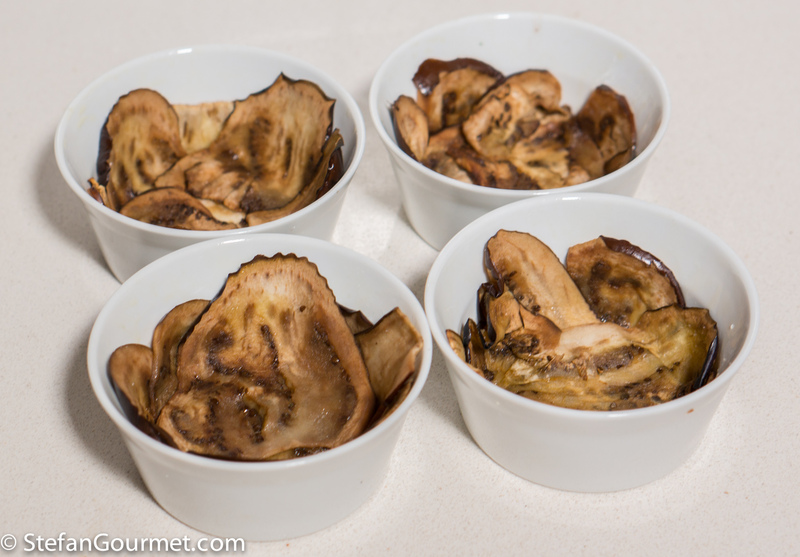 They can be served warm or at room temperature, so this is also a good recipe to keep for next summer. Here is my version. Preheat the oven to 160C/320F. 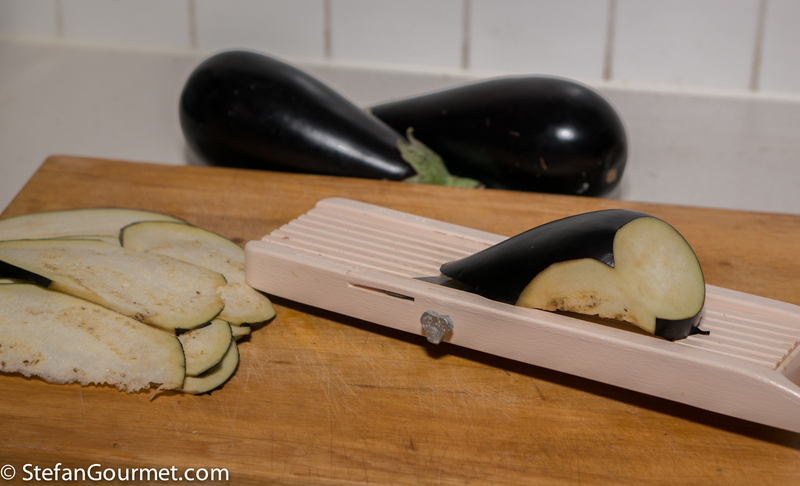 Trim the top and bottom of one of the eggplants and slice it thinly, lengthwise, on a mandoline. The slices need to be about 3 mm (1/8 inch) thick. 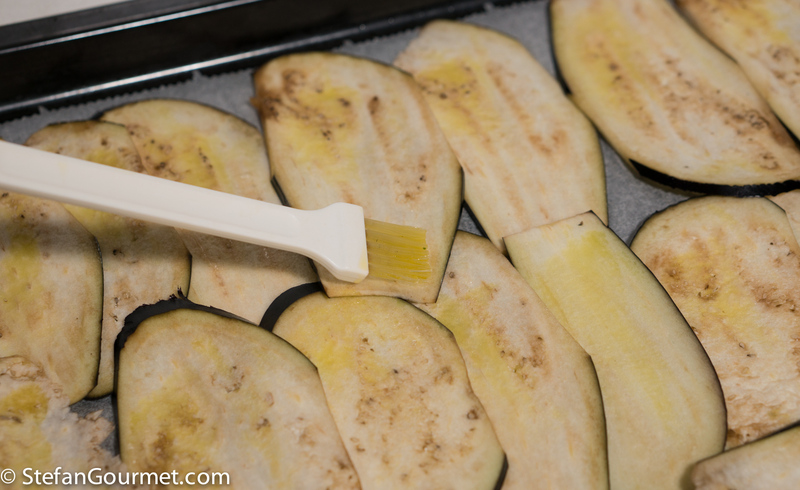 Arrange the slices on a baking sheet in a single layer and brush lightly with olive oil. Bake for 10 minutes at 160C/320F. 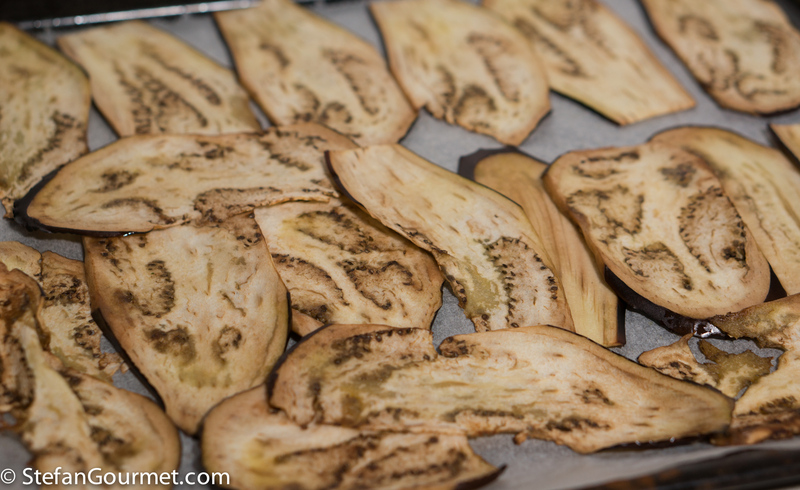 The eggplant slices should stay pliable. Season them with salt when they come out of the oven. 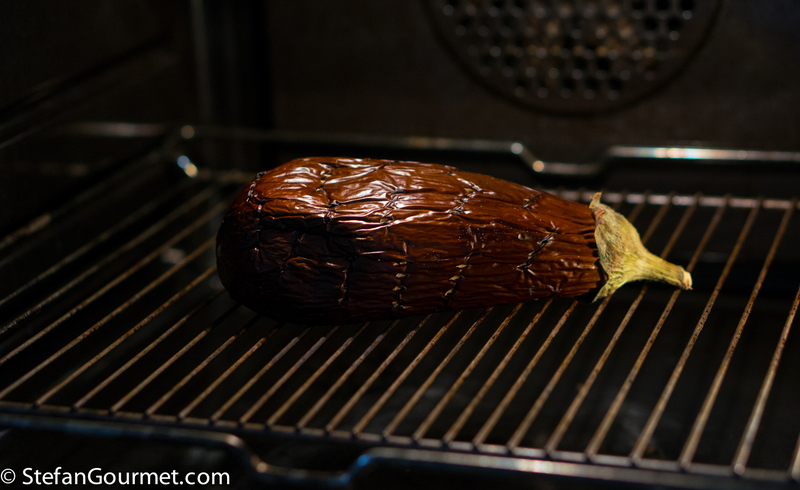 Bake the eggplant at 180C/350F until soft, about 1 hour. 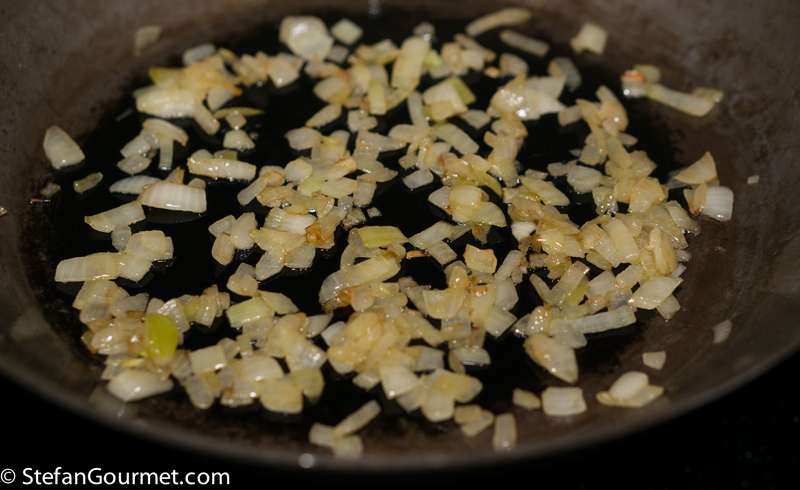 Meanwhile, sweat a minced onion in 2 tablespoons of olive oil until soft and slightly golden, then turn off the heat. 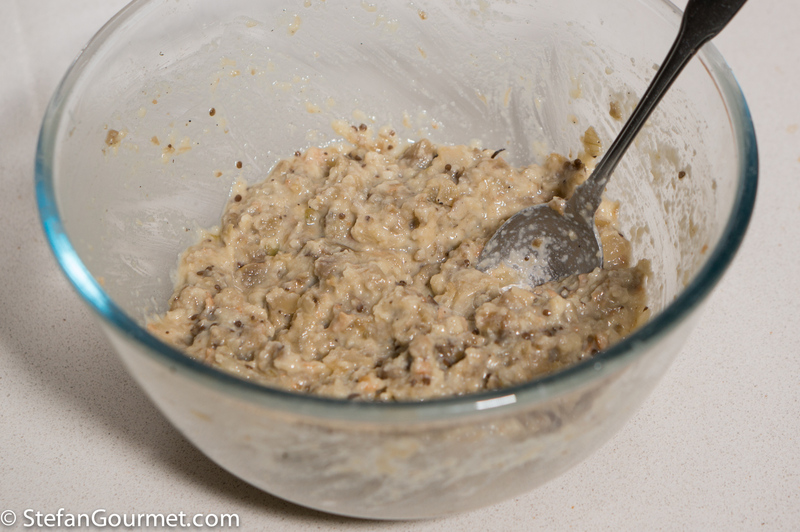 In a large bowl, beat an egg. 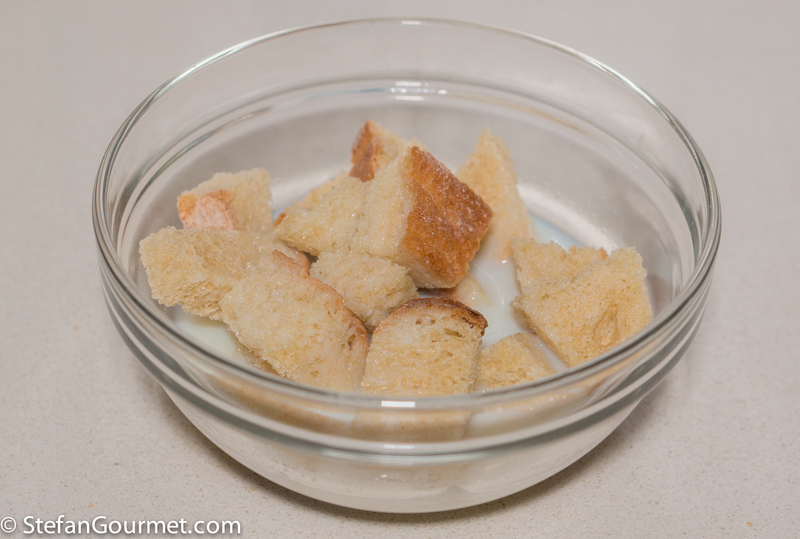 Squeeze the milk out of the bread and add it to the bowl with the egg. 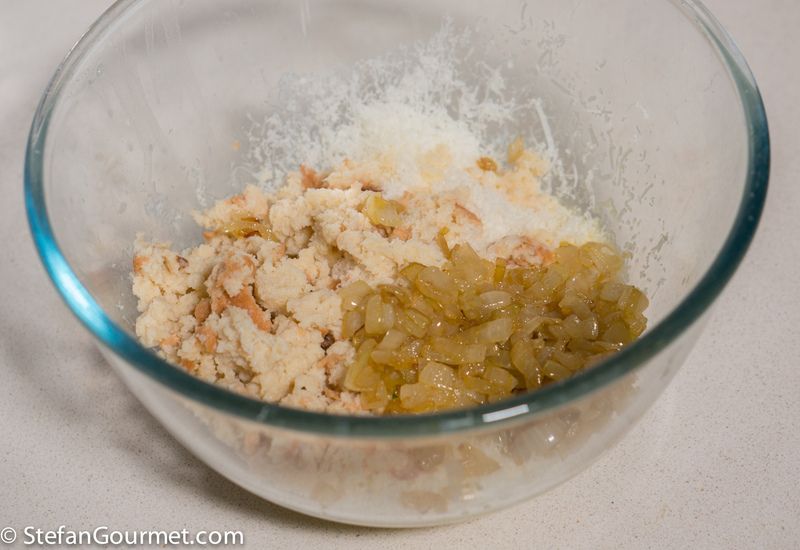 Add the onion as well, and 50 grams of freshly grated aged sheep’s milk cheese. Add this to the bowl as well. 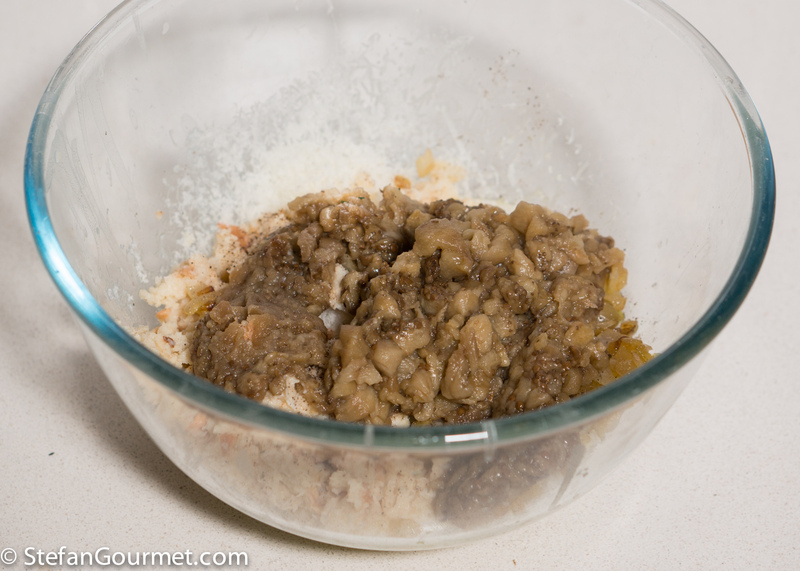 Season with salt and freshly ground black pepper and stir until well mixed. Taste and adjust the seasoning if needed. 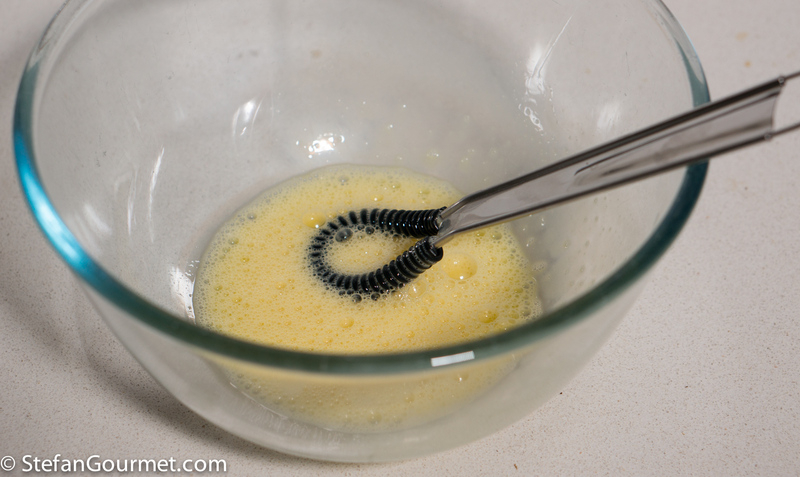 Brush 4 ramekins (or 1 larger round oven dish) with olive oil. 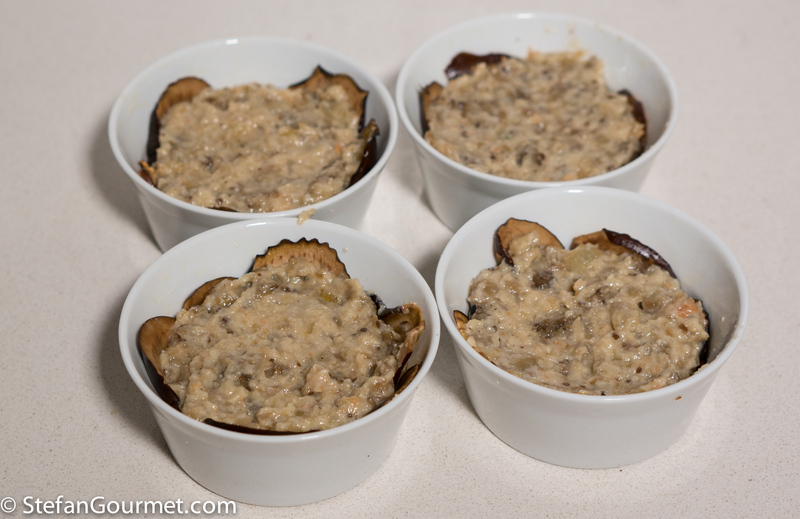 Line the ramekins with the slices of eggplant. 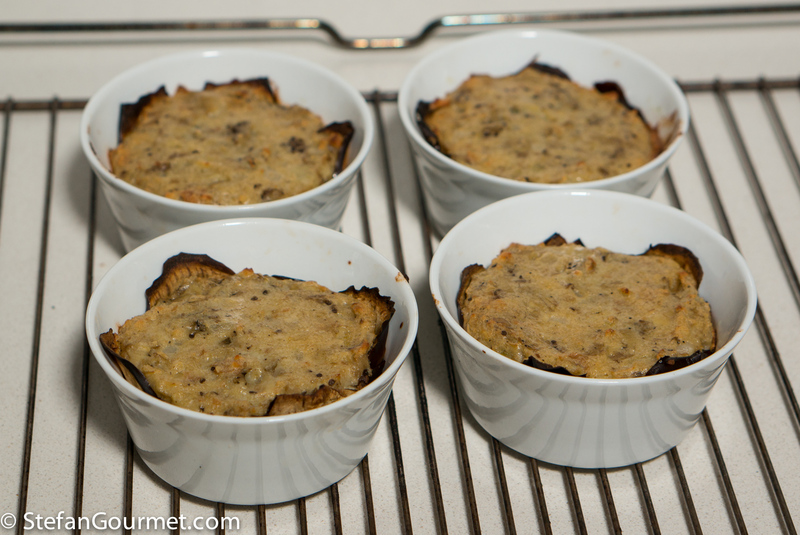 Fill the ramekins with the eggplant mixture. Up to this point, the charlottes can be prepared in advance. 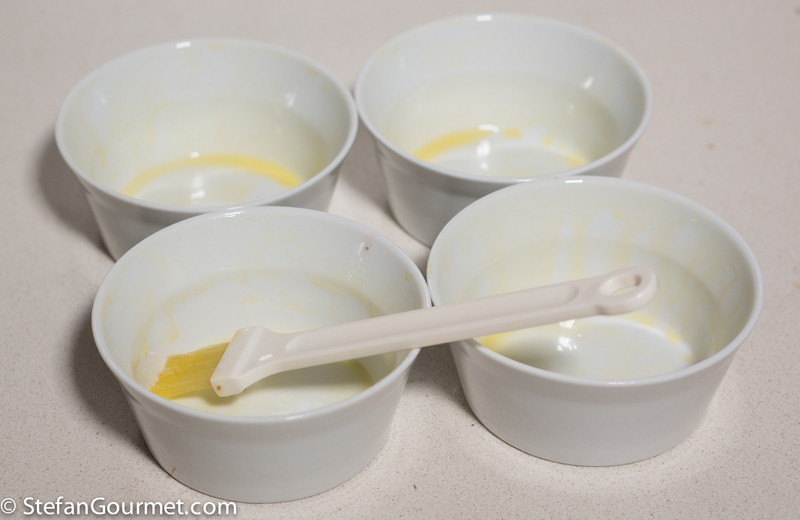 Cover and refrigerate the ramekins until you are ready to bake them. 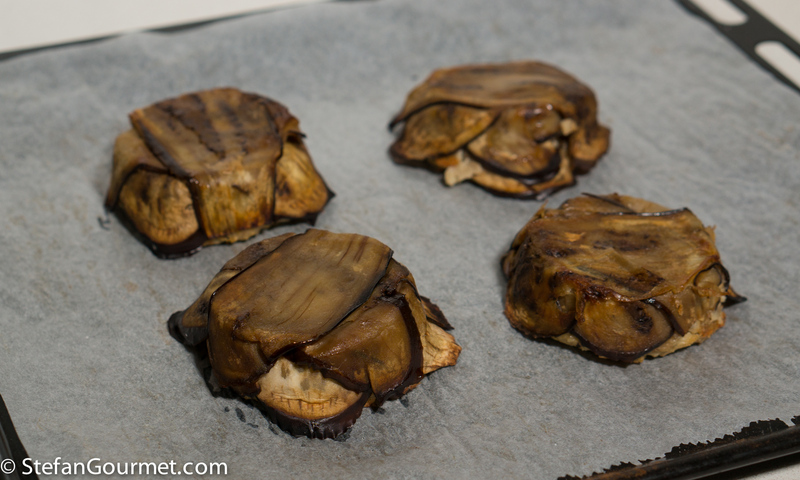 Turn over the charlottes onto a baking sheet lined with oven paper, and bake them like this at 180C/350F for another 5 minutes to give the eggplant some more color. They can be served at once or at room temperature, garnished with fresh parsley or basil. We enjoyed this with a Vermentino, the white grape variety that is most prevalent on both Sardinia and Corsica. 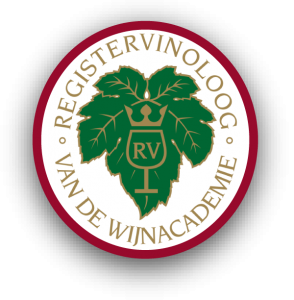 It will also work with other full bodied dry whites that are not too fresh, or with rosé, or with a light (slightly chilled) red. 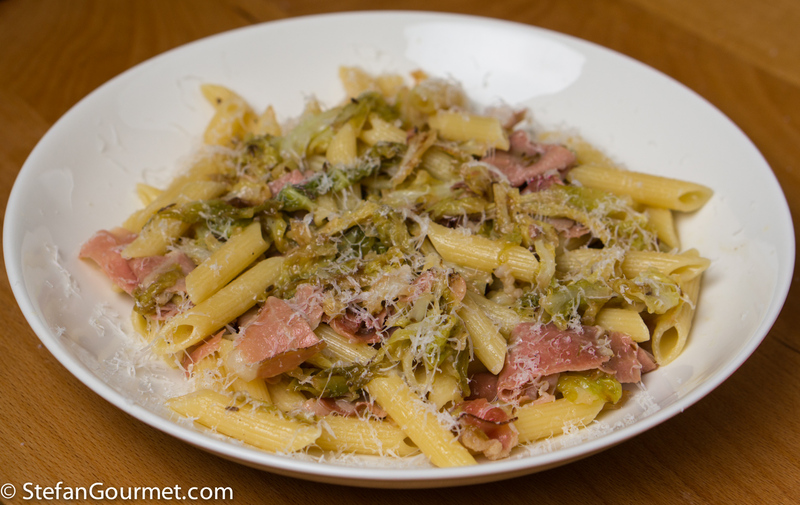 This pasta dish with speck (smoked prosciutto from Südtirol), cabbage and cumin is delicious and can be prepared in less than half an hour. THis looks sensational. 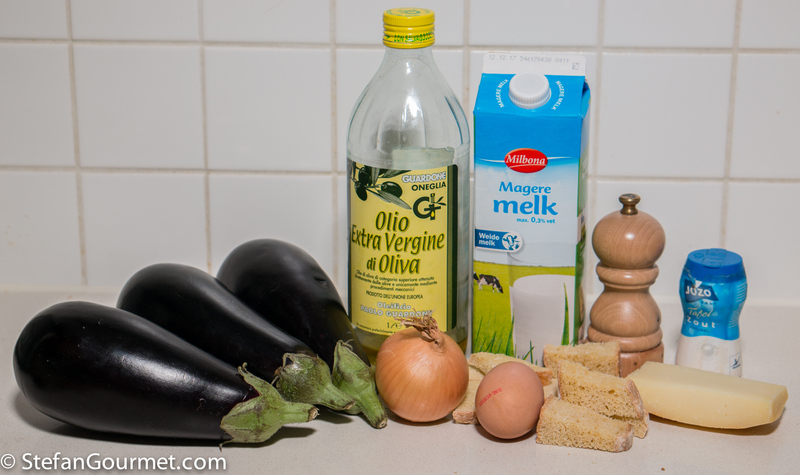 Will bookmark it until next summer when we have fresh aubergines again. Oh, I like this one. 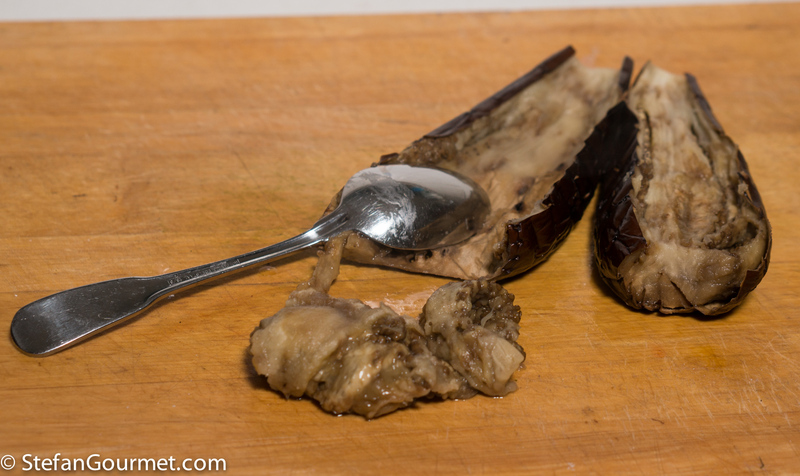 Aubergine is a favorite in our house and this looks very tasty. Love the aged sheep’s milk cheese addition. It must give it a nice rustic taste. Thanks for the recipe and for making it look easy to prepare. 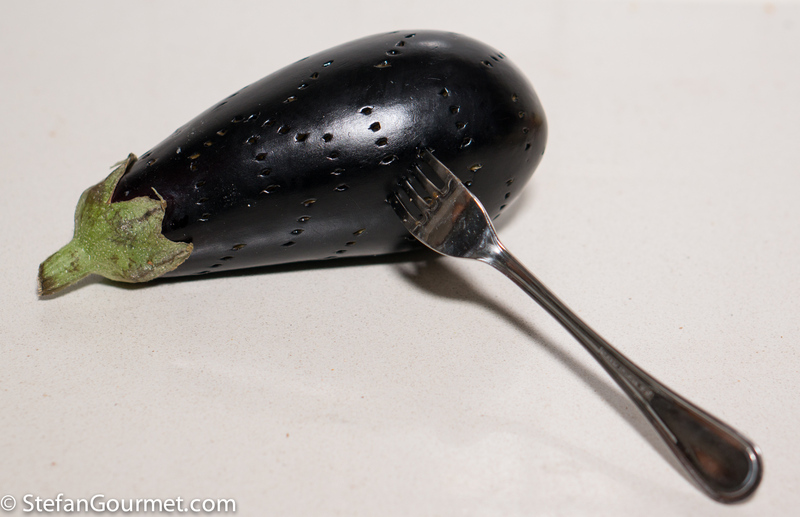 Eggplant 2.0! 🙂 Very impressive. Love your new format, as well!